Do what you always do, get what you always get. Ann had just completed a long, arduous revision process for a science curriculum, and she was feeling the satisfaction of a job well done. She had worked with a diligent, broad-based committee of educators for three years. Their hard work was evident by the shiny, new curriculum guides that were placed gingerly on the shelves of classrooms across the district. As Ann walked through classrooms and talked with principals and teachers regarding the new curriculum, she observed, much to her surprise, that little had changed in regard to science instruction, especially in scientific inquiry. Teachers were teaching many isolated activities, but they were not engaged in the process. Ann had spent hours with the team reviewing state and national standards and discussing their implications. The team engaged in an in-depth analysis of the district data and identified the strengths and weaknesses of the current curriculum. Surveys were distributed to parents, teachers, staff, and students requesting their feedback on the science curriculum. So, why had nothing changed? The status quo was maintained in this district because the curriculum team didn't have any discussions on the best instructional practices. Ann had assumed that the team members already had a solid foundation on these practices, so they jumped right into writing the curriculum. In her haste to get the guides produced, she made a critical error. By not reading, reflecting on, and discussing the best instructional practices, the curriculum team was not equipped to develop a curriculum that would result in long-lasting changes in instruction and student achievement. How do you align curriculum and instruction through the curriculum development process? When we hear the phrase "the good old days," it is usually uttered with a sense of longing and a fondness for a return to the way things used to be. When it comes to curriculum development, this sentiment would not hold true for many teachers and administrators who have been involved in writing curriculum over the last 10 years. In the old days, curriculum development started with a basic question: "What do we want our students to know?" Fortunately, the question of what to teach has been addressed through state and national standards. But now that state and national standards are tied to accountability measures, the questions needed to develop curriculum have changed. Federal and state leaders have spent large amounts of time and energy painstakingly identifying what and when students should learn something. Now that they have taken care of these concerns, we can shift our focus. Rather than lament what might feel like a loss of autonomy or local control, we feel that this guidance from the federal and state level can help curriculum departments move into an important new era. This new era will allow us to spend more time focusing on aligning curriculum and instruction, rather than developing curriculum guides. We have shifted from focusing on what to focusing on how. A few years ago there was a story about several new homes that were literally sliding down the slope where they had been built. These homes were well-designed, luxurious, and located in an exclusive subdivision; however, they were built on land that was slowly eroding. Because these homes were not built on a solid foundation, their design and craftsmanship were rendered useless; the houses could not be occupied. Building a home that will stand the test of time requires both a solid foundation and a sound design plan. It is not an either/or proposition. The same holds true for curriculum and instruction. Too many times we have entered classrooms and observed teachers using research-based strategies on insignificant content. An effective instructional practice loses effectiveness if the curriculum isn't strong enough. For example, using the Four Square Writing Method (Gould & Gould, 1999) will not help improve students' writing if we ask students to write on contrived, inane topics such as how it feels to be a puddle in springtime. Even though the Four Square method is an effective strategy, this process is lost on students if they aren't asked to write as a response to reading and thinking. Conversely, having high academic standards isn't enough if they are not implemented through powerful instructional methods. Unfortunately, many of us have spent time writing guides that outlined great standards only to have them sit on the shelf while classroom instruction remains unchanged. Curriculum and instruction are interdependent, and curriculum work needs to be approached with this important precept in mind. We use two sets of research findings as the foundation for developing curriculum. First, a common curriculum with clear, intelligible standards that are aligned with appropriate assessments is critical to school improvement (Fullan & Stiegelbauer, 1991; Marzano, 2003; Rosenholtz, 1991). The lack of a clearly articulated curriculum hinders improvement efforts and, according to Mike Schmoker (2006), results in curriculum chaos. Second, in order for schools to improve, school personnel need to function as professional learning communities (DuFour & Eaker, 1998; Wagner, 2004; Wise, 2004). Teachers need ongoing opportunities to meet and plan common units and assessments. It is extremely difficult to develop professional learning communities if teachers are teaching different concepts at different points during the year. In order for districtwide improvement to happen, teachers must have the time to revise and develop curriculum that is focused on instruction. Learn, Then Do. Powerful professional development needs to be embedded in the curriculum development process. Develop Leadership Structure. Structures need to be in place to allow curriculum developers and leaders to supervise or work closely with building principals. Ann's experience illustrates what happens when the desire to produce a product trumps the process. When she ignored the curriculum development team's need to study effective instructional practices in science education, the overall quality of the final product was compromised. Writing curriculum isn't just about producing a guide. It includes defining what students need to know and do and giving teachers proven practices that will work with their specific content area. In order to avoid the pitfall of creating curriculum without a focus on instruction, we recommend two phases to manage the work. The first phase, planning and development, is used when an in-depth curriculum revision is needed; the second phase, review and evaluation, can help a team manage the curriculum after it is developed and ensure that it is implemented effectively. Curriculum study and writing is a continuous improvement process, and subject-area curriculum teams will drive curriculum development for a district. Depending on the size of the district, representatives from every building, grade, and subject area should make up the teams. If the district is large, divide the teams by elementary and secondary schools. If the team is divided by elementary and secondary schools, it is critical for team members from transition grade levels (e.g., 5th and 8th grade teachers and administrators) to have opportunities to discuss grade-level matriculation. Representatives from other departments, such as library media, gifted and talented education, special education, ESL, Title I, and administrators from each elementary, middle, and high school should also be included on the team. Simply having representative administrators from the central office on the curriculum team is not enough. The central office curriculum leader needs to ensure that building principals who are engaged in the curriculum and instruction process go beyond participating in meetings and help them make high levels of engagement with teaching and learning happen in their schools. The leadership structure section at the end of this chapter will address this concept in-depth. The curriculum development team should review each curriculum document on an annual basis and have an in-depth revision and update for the curriculum on a six-to-eight year cycle as determined by the curriculum revision cycle. This development cycle is a critical piece to managing the work and the curriculum budget. Figure 1.1 outlines each step during the planning and development phase. Each step includes specific promising practices to follow ("do's") and pitfalls to avoid ("don'ts"). This step sets the tone for the entire planning and development process. Do make sure that you spend significant time with the team to help them understand state and national standards. Most state assessments are based on national standards; therefore it is imperative that teachers have explicit knowledge about what students are expected to know. These standards are the driving force for curriculum development and will help teachers move away from negative thinking, such as "We've always done it this way" or "Our students won't be able to handle the information at that grade." Don't forget to identify a book or a series of articles that will serve as the touchstone text for the curriculum revision process. Studying a book or a set of articles will serve as the cornerstone for the professional discussions that the team will have over the next few years. Thus, it is imperative to select texts that have proven instructional strategies instead of choosing lesson activities. The key in selecting materials for a group study is to understand the current district achievement data and the gaps that exist in teaching and learning practices throughout the district. For example, during a language arts curriculum revision, a preK–12 team chose Mosaic of Thought (Keene & Zimmerman, 1997) as their touchstone text and read selected chapters from Strategies That Work (Harvey & Goudvis, 2007) and Reading with Meaning (Miller, 2002). These selections helped them focus on their district's low reading comprehension scores on state and national tests and begin implementing reading strategies across the content areas. They also helped the team understand and identify what comprehension strategy instruction should look like in the classroom. Once the team had this understanding, developing a curriculum based on strategies that proficient readers could use was much easier. This step focuses on developing a common understanding of the district's needs. The goal is for all team members to identify strengths and weaknesses in the district's curriculum by analyzing student achievement data. Do help teachers understand the implications of test scores beyond the scope of their own classroom. Make sure that teachers work in vertical teams to discuss achievement gaps at all levels. While more teachers have an opportunity to collaborate with their grade-level peers, it is extremely rare for teachers to discuss teaching and learning with their colleagues outside of their consecutive grade levels. When teachers have opportunities to talk with other teachers across all grade levels, the team broadens their understanding of major curriculum issues and begins to move from functioning as a group of individuals to working as a professional learning community. According to DuFour (2004), a professional learning community is a team of teachers who meet on a regular basis to establish curriculum standards and collaborate on how to teach these standards. This is exactly the role that the district curriculum team should play. According to Marzano (2003), one of the most important factors that influence student achievement is developing a guaranteed and viable curriculum. This type of curriculum helps teachers identify a set of relevant standards and ensures that these standards are taught. In order to develop a guaranteed and viable curriculum, the curriculum development team must operate as a professional learning community. There are two reasons for establishing a professional learning community at the district level. First, there is a general consensus among educational researchers that professional learning communities are one of the most promising strategies for significant and sustained school improvement. Members of the research community have developed a collective statement that supports the use of professional learning communities (Schmoker, 2006). 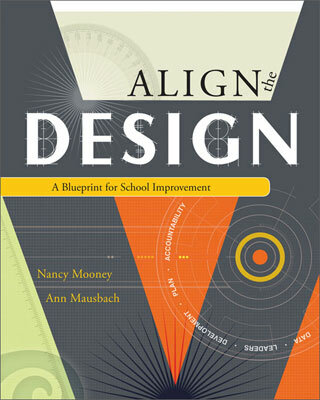 The tools and processes outlined in this book are designed so that sustained improvements in achievement happen not only at the building level, but also at the district level. If long-term, sustained student achievement is the goal, district-level professional learning communities are not optional. Second, a district-level professional learning community can establish a model for developing curriculum for building principals and help them understand how to establish curriculum development teams in their schools. Don't assume that all the members on the curriculum development team know enough about the topic to complete all the tasks at a high level. It is impossible to form a team where every member comes to the table with sufficient curricular and instructional knowledge. Some team members may need more experience or more opportunities to reflect on the topic from a different perspective. Savvy and successful curriculum leaders recognize that serving on a writing team is a high-level professional development task. These leaders know how to carry out the critical role of developing and training members of the writing team. Thus, professional development for the writing team must be embedded with information regarding what the data mean, strategies for including the most effective instructional practices in the content area, and data about the gaps in the current curriculum. While it is necessary to produce a written curriculum to meet state and district requirements, the document becomes a by-product of learning how to deeply connect powerful curriculum with proven instructional methods. The purpose of this step is to help the curriculum development team establish local benchmarks that will help teachers identify how well students understand the big ideas outlined in the curriculum standards. Starting curriculum development with assessments is not a new idea. Wiggins and McTighe's (1998) backward design model, which begins with identifying desired results, is a widely adopted standard for curriculum development. The objective of the backward design model is to help curriculum developers create units of study around major concepts in the curriculum. Units are designed to help students develop deep understandings of the concepts that are taught. Wiggins and McTighe recognize that teaching that is consistently geared toward deep and sophisticated understanding at all times is both impossible and impractical. They acknowledge that students also need to acquire basic skills such as learning math facts and reciting the alphabet. Wiggins and McTighe's work is significant because it is focused on understanding rather than simply covering curriculum. Creating common assessments at the district level will help the team develop an understanding of what is really important for students to know. The central office administrator can use common assessments to establish benchmarks for the district and to monitor improvements and efficiency of district curriculum; however, we do not advocate developing units at the district level. Units need to be created at the building level through school-based professional learning communities. Examine tests from texts or other supplementary materials that the district has already purchased. Some of these materials may work well and may only need minor adjustments to meet your district's standards. Evaluate state assessments samples. Model local benchmark assessments on state tests when appropriate. Share assessments with other districts. Improving teaching and learning for all students is the mission of public education. Do not let competitiveness or turf issues stand in the way of creating real change for students. Don't try to develop assessments after school or during a monthly professional development day. Make time to commit to this work when you have the team together for an extended period. The costs for setting aside this time for both small and large districts can interfere with this recommendation; however, if the mission of school is learning, then writing curriculum for teaching and learning and ensuring its implementation warrants top priority in budget allocation. To do otherwise slights the integrity of instructional leadership. Ann used Curriculum Camp to accomplish this work with her team. Curriculum Camp is five intense days of curriculum work during which the curriculum development team can work without interruptions. Ann and her team usually conduct their Curriculum Camp during the week before summer school begins. The team spends most of their time at the Curriculum Camp writing assessments. This process can take two to four days, depending on the subject area. Figure 1.2 provides an overview of the schedule for Curriculum Camp. Steps 3 through 5 are accomplished during the camp. Steps 1 and 2 are accomplished during the school year prior to the summer Curriculum Camp. *Steps 1 and 2 occur during the school year in scheduled meetings. In small districts or districts with limited resources, conducting a Curriculum Camp may be difficult. These districts need to reexamine how they are spending their current budget and reallocate or reorganize their funding in order to provide large blocks of time for their staff to work. Failure to organize this time wisely will result in a fragmented curriculum and frustrated teachers who spend the majority of their time trying to figure out what they did at the last meeting, instead of having rich discussions about teaching and learning. Providing a significant block of time for the curriculum development team to do this work promotes depth in the curriculum, allows time for reflection, and communicates the importance of this process. This step will help the team begin to create supporting curriculum documents that teachers can use to implement the curriculum in the classroom. Developing a curriculum guide is an important step in this process. A template for a sample curriculum guide can be found in Figure 1.3. Curriculum maps, like curriculum guides, will raise student achievement only when they are fully implemented by every teacher for every child. Creating maps and guides without full implementation is like owning a power tool without having electricity or batteries. The central office administrator and the building administrator are both responsible for monitoring implementation. For extensive information on curriculum mapping, see Jacobs (2004). An example of a curriculum map that we use can be found in Figure 1.4. Do develop a check-and-balance procedure for reviewing the work of the curriculum development team. Devise a system that ensures that anything produced, such as the scope and sequence or a curriculum map, is viewed by both vertical and grade-level teams. This may seem like common sense, but the sheer volume of work that is produced during a curriculum revision is daunting, and it takes a systematic approach to maintain coherence and quality. Don't write activities or lessons. At the district level, these documents should serve as a guide only. Spending time writing lessons and activities is ineffective for several reasons. First, you are assuming that you know the students in the classroom. It is frivolous to write a lesson in the absence of knowing about the students who will receive the lesson. Second, it is the teacher's role as the professional educator to develop lessons that will meet students' needs. Teachers should have the autonomy to develop lessons around the district's standards and curriculum. As teachers do more work in professional learning communities, they will learn how to develop common lessons and assessments at the classroom level. During this phase of curriculum development, the team reviews and selects resources that align with the standards, grade-level expectations, and assessments that the team developed. The team will typically review five or more different resources and narrow them down to two. These materials will become the resources that are piloted in the next phase. Do develop a materials review form prior to looking at any products. It is easy to fall into the trap of rushing to review glitzy packages. Looking at materials before establishing criteria causes two major problems. First, it allows the publisher to dictate curriculum, and second, it perpetuates the notion that the texts are the curriculum instead of a resource. Curriculum leaders are responsible for shifting teachers' perceptions from teaching a book to teaching students. They are also responsible for providing professional development to teachers during this process. One way to avoid having materials taking precedence over curriculum is to take at least half a day to develop a form that synthesizes what the team has learned through the book study conducted throughout the year. This form will help the team look at all the materials with similar eyes. The team can also use the form to identify what is important for a specific subject area from both a content and pedagogical standpoint. This is also an ideal time to identify strong, effective instructional practices that will help the team search for materials that most easily lend themselves to their current teaching methods. Finally, it is also important during this step to analyze information from parents, students, and staff surveys when developing the curriculum review form. Figure 1.5 provides an example of a textbook review form. Please evaluate the following criteria with 1 as the LOWEST and 5 as the HIGHEST rating. Don't rush into bringing publishers in to speak to the team. Instead of having companies come in and do a sales pitch, districts have several options. One option is to use curriculum money to send representatives from the curriculum development team to state and national conferences for specific curricular areas. Not only will the team learn more about effective instructional practices by attending the conference, they can spend time in the exhibit hall identifying possible resources that also deserve consideration for a pilot. Samples can be requested, reviewed, and narrowed down back at the district. If traveling to conferences is too costly, the team can request samples from publishers and set up an exhibit at the district level. Team members can browse through materials at designated times during the school year. Avoid the temptation to accept special meetings, lunches, or gifts from the companies that are aimed at influencing your selection. During this phase of development, the team pilots all sets of materials with students. Do pilot all materials with students for an extended period of time. Make sure that the teachers who are participating in the pilot use all materials with their students for at least six to eight weeks. It is not enough to have teachers attend a meeting after school, listen to a sales pitch, receive a few freebies, and flip through the materials. Teachers must have an opportunity to use the materials with students and make sure the materials align with the instructional sequence for an entire unit of study. One resource cannot be expected to meet all the needs of any content area; therefore, teachers should use materials for a longer period of time to help them realize where supplemental materials may be needed. Depending on the size of the district, at least one teacher from each school may need to participate in the pilot. Although teachers do not teach the same units simultaneously during the pilot, this design gives teachers opportunities to discuss different approaches to using the same content. This process is also efficient for managing the amount of materials needed to run the pilot. Figure 1.6 outlines how to handle this process. Don't be afraid to think outside the box when it comes to adopting materials. If the materials in the pilot do not meet the needs of the students in your district, take a step back and think differently about what may be needed. For example, maybe a social studies textbook isn't necessary, but a set of expository books that aligns with the standards might work better. Don't settle for materials that won't help meet both the curriculum standards and the instructional philosophy. This step involves updating and asking the board of education to adopt the new curriculum. Do keep the board of education informed throughout the process. Make sure that the teams provide a yearly curriculum update to the board that briefly outlines the major projects and initiatives that will be undertaken during the year and share the processes used to develop curriculum. Skipping this step can put the board in a reactive mode if they are challenged by community members regarding a new initiative. This may also result in the initiative either being rejected or pulled before full implementation is reached. Ann learned this lesson the hard way when she worked on a mathematics curriculum revision. After reviewing national and state standards and analyzing achievement and course enrollment data, the team decided to use an integrated approach to mathematics at the high school level rather than the traditional Algebra I, Geometry, Algebra II sequence. Even though Ann worked through the process with the team, she knew that there were one or two high school teachers who were anxious about this reform. She also failed to realize the importance of informing the board along the way. When anxious teachers or parents grumbled to board members who had little or no information about the rationale for the change to the curriculum or the process for making this decision, Ann was on the hot seat and had to scramble to provide the board with the pertinent information. Although she weathered this controversy and both the test scores and the number of students enrolled in higher level math classes increased significantly, for the next five years, when she addressed the board, she knew that all the questions directed toward her would be associated with mathematics and how teachers engaged in the curriculum revision process. Don't make it all about the books. Make sure that the board adopts the curriculum, including the goals, philosophy, standards, and grade-level expectations, before the resources. Resources should be discussed and presented, but they should not be the only focus. Instead, curriculum maps and guides and their content should be highlighted during the presentation. For example, a district that is moving toward balanced literacy should spend time discussing the benefits of this approach and what this type of instruction looks like in classrooms. This is one of the most critical phases of the process and needs to be ongoing. Without this step, the rest of the revision process is useless. Do pay attention to instruction throughout the process. As the team articulates the instructional philosophy, work on bringing the rest of the district on board with where you are headed. This process will look different depending on the content area. Using the previous example of a district moving toward balanced literacy, the first step is to define balanced literacy and to develop guiding principles. Then, while the team is working on developing the curriculum, the curriculum department can work with teachers and schools throughout the district and discuss topics such as what balanced literacy means and what a literacy block looks like. Taking these steps is extremely helpful, especially if the district is making a major shift in instructional practices. If a district waits until the guides are completely developed, then teachers will be focused on the curriculum ("what") and give minimal attention to the instruction ("how").When curriculum development team members don't have enough professional development focused on supporting curriculum, a curriculum development revision simply results in teachers teaching from a new book, instead of applying proven practices. Don't forget to design professional development that puts the responsibility for implementing the curriculum at the building level. An increasing amount of evidence shows that traditional approaches to professional development are ineffective (Joyce & Showers, 2002). It is crucial to design a more comprehensive system for implementation. This could include adding more building-based coaches and mentors, and it could also mean tailoring implementation based on the size and resources of your district. The point is to plan for ongoing professional development that leads to implementation. An expert needs to be identified and trained at each building. This individual will help to ensure that the correct instructional practices and content are being implemented. Ignoring this important concept will result in the new curriculum feeling like the "flavor of the month" rather than a district initiative that will help students learn. This step is where the rubber meets the road. If done right, this part of the work can be the most difficult. Do expect instruction to improve and, if it does, collect evidence to monitor the difference. Use the assessments developed by the team to help measure whether the curriculum is meeting the needs of all learners. You should also use national, state, and local assessments to determine the efficacy of the curriculum. The national and state results will help you to look at big-picture trends, while local assessments will help to pinpoint certain areas that may need more attention. When analyzing local data, look for any concepts where there are low scores for a specific group of students. If this occurs, reexamine how those concepts are being taught and addressed in the curriculum. Don't be afraid to regroup as needed. Curriculum development is like buying a new car. The minute you drive it off the lot, the car is never the same, and after driving the car for awhile, you might find one or two features you would have liked to have had instead. In other words, expect that once teachers and students start using the curriculum on a larger scale, there will be some issues to discuss. Although the curriculum development team may be frustrated because they worked so hard to develop the new curriculum, this is a good problem because it means that teachers are using the curriculum. Curriculum leaders need to help the team understand that revisions are a natural part of the process and plan accordingly. In one district, after rolling out the new science curriculum, teachers complained that they were not sure what the expectations were for scientific inquiry. The team reexamined the curriculum and found that different scientific terms were being used at different grade levels. The team regrouped and identified developmentally appropriate inquiry language and processes to prepare students for the next level of science instruction. These types of issues illustrate why the curriculum development team cannot stop meeting after the curriculum is developed. After completing a major revision, the team can move into the review and evaluation phase. One of the reasons why curriculum work is so challenging is that it is never done. Once the team has developed the curriculum, it is imperative that processes are in place to ensure that the teaching and learning in the content area is helping students achieve. One way to make this happen is to have the curriculum teams meet on an ongoing basis. This means that all of the teams, including science, mathematics, reading and language arts, social studies, career and technical education, art, music, physical education and health, and international languages, need to meet at least twice a year. These meetings are important, especially if these teams were not involved in the in-depth revision process outlined in this chapter. The first meeting should be held early in the year. The goal of this meeting is to review data to determine if minor adjustments to the curriculum need to be made. For example, if the team reviewed assessment data and found that mathematics computation scores were low at the elementary level, then the team would develop a system to ensure that timed tests were given to students in elementary grades. The team may also find that students in social studies classes aren't able to use maps and globes. The team would work on developing support for that aspect of the curriculum. The key is to make decisions based on student achievement data. Survey data from teachers and parents may also be helpful, but use caution when analyzing these data. If the teachers are in the early stages of implementation and a major change occurs in the curricular area, the survey data may reflect natural frustration associated with the change process. For curriculum leaders, it is important to be cognizant of this frustration. It does not always mean that a change needs to be made. Ann's experience from the beginning of the chapter is a good example of staying the course. If Ann had read the teachers' surveys alone, she would have surely changed directions; however, because she relied heavily on student data, she stayed the course, and it turned out to have the best results for students. The second meeting needs to occur in the spring. The goal of this meeting is to share progress and updates regarding the initiatives identified in the prior meeting. Typically, the entire curriculum team does not need to work on these adjustments. In a small district, a subcommittee could be pulled together to work on the adjustments, or in a large district, the curriculum department would be responsible for these changes. The key is to make sure that the work gets done and to keep everyone accountable. In far too many districts, curriculum development is treated as an activity separate from schools. Curriculum development is viewed apart from regular school as something done in an esoteric ivory tower at the central office and handed down to teachers and principals. One of the fundamental precepts we mentioned in the Introduction is that the mission of schooling is student learning. Curriculum and instruction are critical to achieving this mission and need to have priority. The principal needs to be informed every step of the way regarding the teaching and learning practices discussed during the revision process. If this doesn't happen, the principal, and consequently the teachers, will never own the teaching and learning process and curriculum initiatives will never translate into practice. The curriculum will be sporadically implemented by random teachers, instead of all teachers fully implementing the curriculum for sustained achievement. Two ways to put teaching and learning first and to avoid sporadic implementation are to (1) develop an organizational structure that allows the curriculum leadership staff to have ownership for principal supervision and (2) make teaching and learning the focus for principals' professional development. There needs to be a direct connection between the curriculum leader for the district and principals. The curriculum leader should have the most frequent contact with principals, be in charge of principals' meetings and agendas, and play a significant role in principals' evaluations. Principals' jobs are complex, and in order to remain strong instructional leaders, they need support from the central office. The role of the curriculum leader for the district is similar to that of a juggler. Instead of juggling balls, the curriculum leader juggles the demands of multiple curriculum areas and their corresponding instructional issues. Each content area needs attention to stay in the air or move forward. The central office leader needs to engage in three crucial roles to make this happen: the visionary, the gatekeeper, and the change agent. As the visionary, the central office administrator needs to know where and how to lead curriculum teams. Before entering into a curriculum revision process, the central office leader needs to have a thorough understanding of teaching and learning issues within a specific content area and have a picture of what instruction will look like after the revision process. This doesn't mean that the leader has everything predetermined before the revision begins; however, it does mean that the curriculum leader knows how to help the team develop this same understanding and knows what steps to take to get the desired result. The team members will shape the specifics, but the curriculum leader knows the destination. Providing a vision for the team is a delicate balancing act. Too much vision can feel like micromanaging and too little can make the team feel like they are spinning in circles. Of all of the roles the curriculum leader plays, this is the most crucial, because without a strong sense of what the district needs, it is difficult to engage in the other roles below. To understand the curriculum leader's role as a gatekeeper, picture this person as a sentry guard who stands in front of each building and classroom in the district. He will allow only effective instructional practices through the gate. The curriculum leader is often inundated with publishers and colleagues who want to implement the latest program of the month. It's the curriculum leader's job to make sure that any program implemented in the district aligns with the teaching and learning goals for a specific content area. It's up to the leader to avoid tantalizing quick-fix programs. Programs won't improve schools; quality teachers who work with leaders to align school improvement processes will improve schools. Well-documented research states that teacher quality is one of the most significant variables that influence student achievement (Darling-Hammond, 1997; Haycock, 1998; Ingersoll, 2003). The gatekeeper will be mentioned more in-depth in Chapter 3 when we discuss data analysis. Finally, the curriculum leader serves principals as a change agent. After a realistic analysis of the data, there are very few districts that don't have a need to improve achievement in some area. The central office administrator is responsible for identifying and determining how to make these improvements. Obviously, improving achievement will require changes to be made to the teaching and learning processes. Sometimes these are minor tweaks, such as identifying language to teach scientific inquiry; other times, these are large scale changes, such as implementing an integrated mathematics curriculum. Regardless of the magnitude of the change, there will be criticism and resistance. The central office administrator needs to anticipate this resistance and work with the team to minimize negative reactions. However, no matter how much planning and communicating is done, there will still be a group of individuals that challenge the new initiatives. As the change agent for the district, the curriculum leader needs to stay the course and understand that this is a natural part of the change process. Changing the direction because people may be uncomfortable is not the solution. We've observed three qualities that separate good curriculum leaders from great curriculum leaders. These include the ability to analyze and question the status quo, the belief that the district can go higher, regardless of district and school test scores, and the courage and conviction to stick with curricular changes until full implementation is achieved. When my son Jack turned four, he received a set of Legos for his birthday. The set of Legos he received was designed to be built into a truck. After painstakingly following the directions, I had somewhat successfully put the truck together. Being the highly educated parent that I am, I made sure that throughout my building process I asked my son questions and had him help me find the pieces. However, by the time I was finished putting the truck together, I realized that Jack had moved on to another toy. I was so exasperated. I had spent a good 20 minutes trying to put the truck together, and he wasn't even interested. After taking some time to reflect on the situation, I began to understand Jack's lack of interest. My focus on making the truck look a certain way prevented him from participating in the process of putting the pieces together, which is what mattered most to him. No wonder he had no interest in the final product. Once it was built, it had no relevance to him. Unfortunately, this same scenario occurs when teams are developing curriculum. In the rush to produce the curriculum guide, we forget that our purpose for developing curriculum in the first place is to improve instruction. The desire to produce a product trumps the process, and as a result we have curriculum guides collecting dust that have little relevance to teachers or students. As leaders, we need to help teachers understand how the curriculum takes the kids where they need to go and show them how to use instruction to get the kids there. We need to ask questions about not only the objectives, but also the methods for helping students meet the objectives. The next time one of my sons receives a set of Legos, we are going to concentrate more on how to put the parts together, rather than solely on what it should look like. Not only will my boys have more fun, but we all might learn something in the process. Jacobs, H. H. (2004). Getting results with curriculum mapping. Alexandria, VA: ASCD.